We spend about a third of our lives in our beds or bedrooms, and with the cooler weather coming, many of us will be much more likely to spend even more! If you lead a busy, hectic life, and chances are you do, having a calming, nurturing space of your own to come home to is important. This week I'll share a few easy feng shui and holistic tips for creating a peaceful, stress-free bedroom that nourishes you, and where you want to spend time! Even if you can only make a few of these changes, taking the smallest steps can make a big difference in creating a zen atmosphere that welcomes and soothes you. Can you pick up a Peace Lily at the farmer's market? Add a few light blue and green throw pillows? Even just bringing in a touch of lavender oil can turn your bedroom into a sacred oasis of calm. What changes are you excited to try? As always, I encourage you to reach out with any questions. You may even be featured on our Q&A Sunday series! And don't forget to sign up for the Holistic Spaces newsletter! 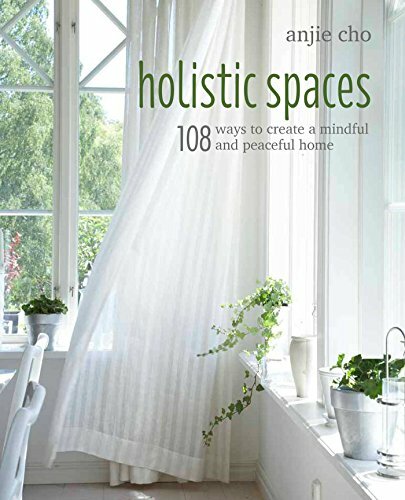 Get tips each month on feng shui, green design and holistic living, and receive a 10% coupon to the Holistic Spaces store just for signing up!